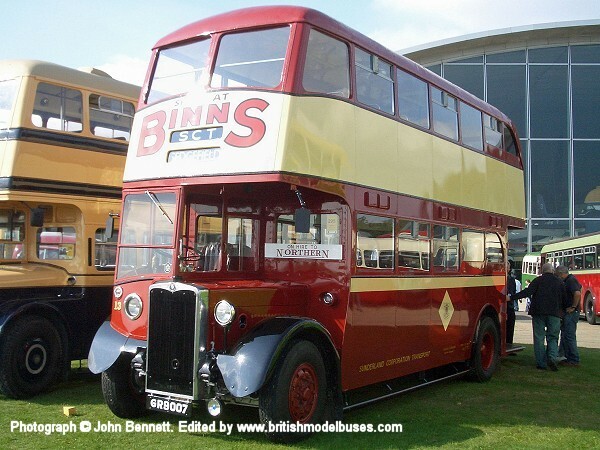 This photograph was taken at Wisley Airfield on 5th April 2009 and shows the nearside view of the above. 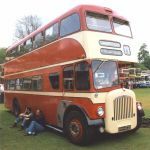 This photograph was taken at the 2001 Kidderminster Road and Rail rally and shows fleet number 1324 (LTA958). 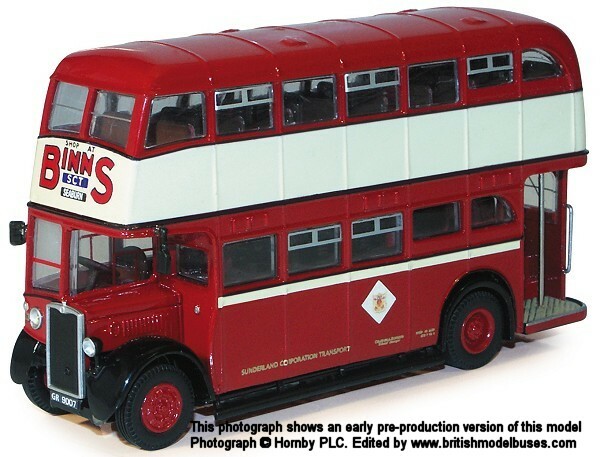 This is the actual vehicle as represented by 1/50th scale Corgi Classics model 33301. 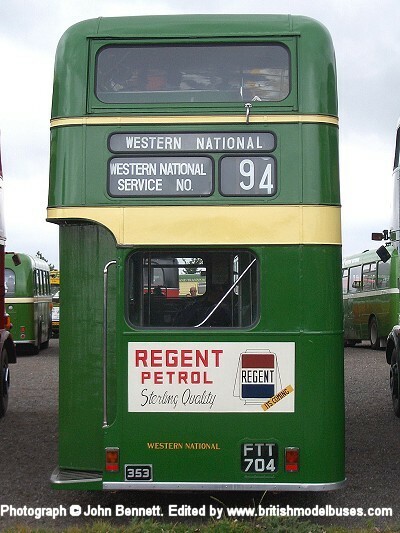 This photograph shows the front offside view of the above. 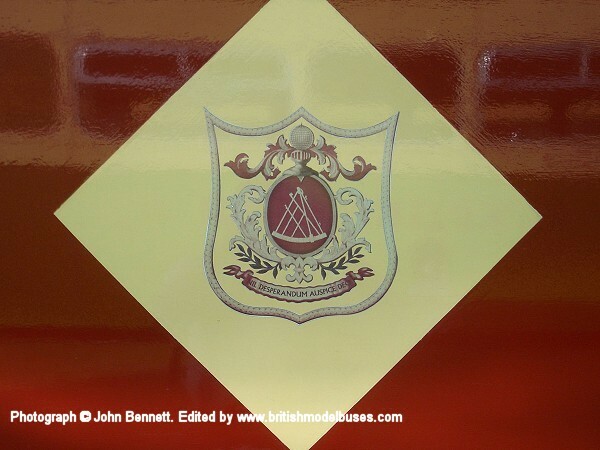 This photograph shows the crest on the side of the above. 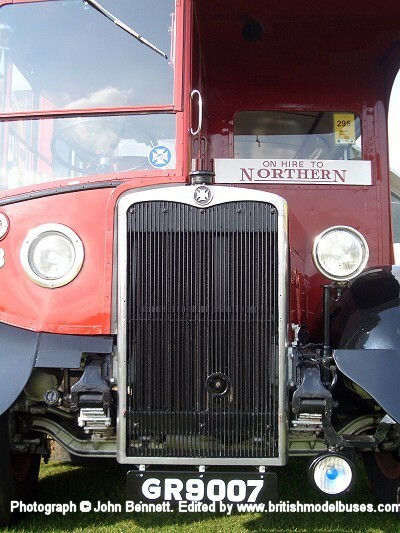 This photograph shows the radiator grill and bonnet of the above. 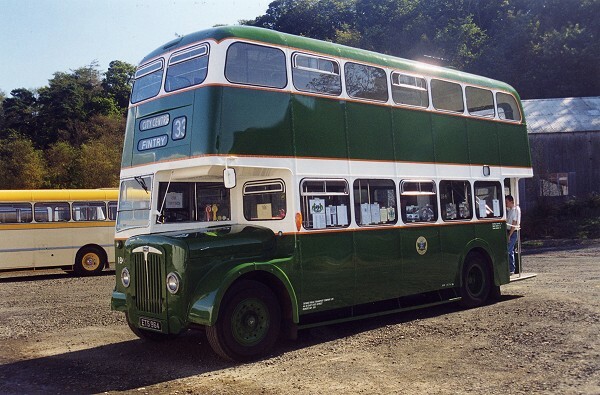 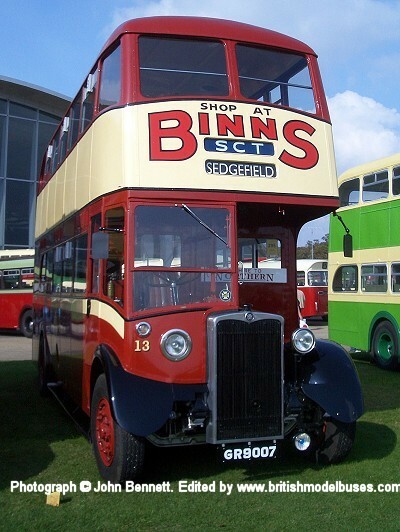 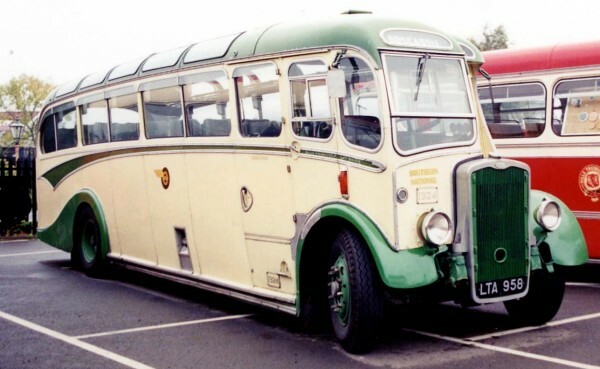 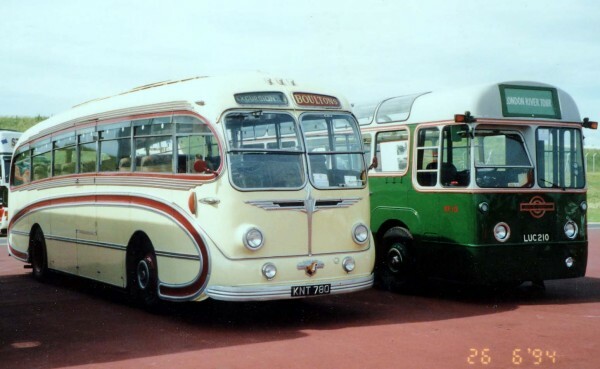 This photograph was taken at the Scottish Vintage Bus Museum, Lathalmond during the weekend 21-22 August 1999 and shows fleet number 184 (ETS 964). 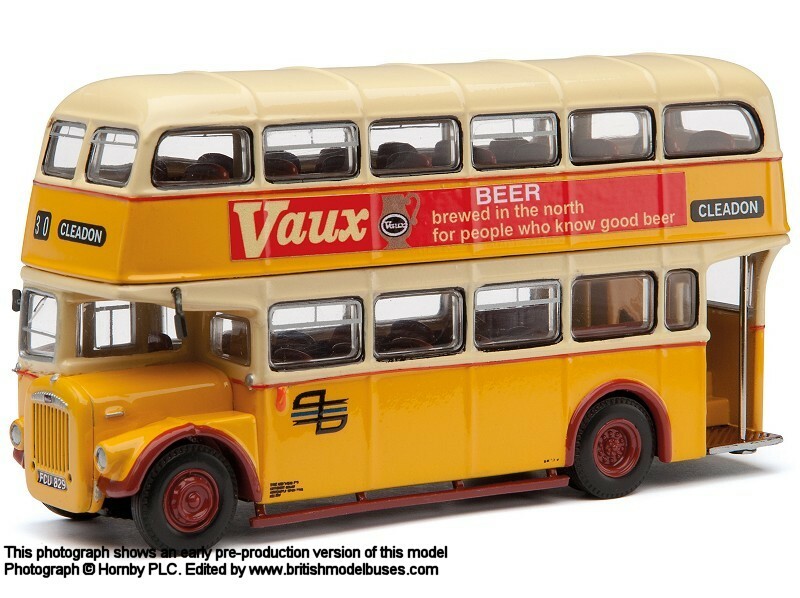 This is the actual vehicle represented by the EFE models 19803 and 19803DL. 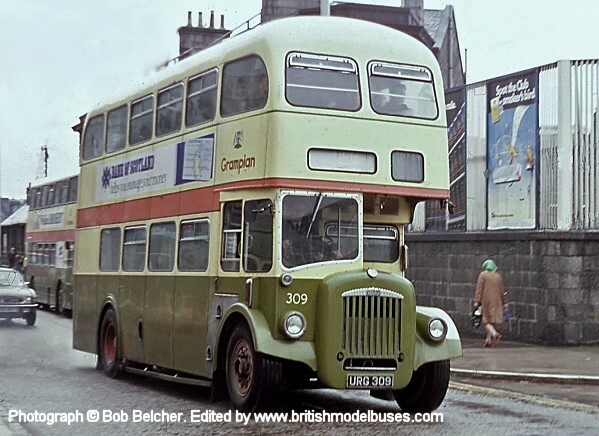 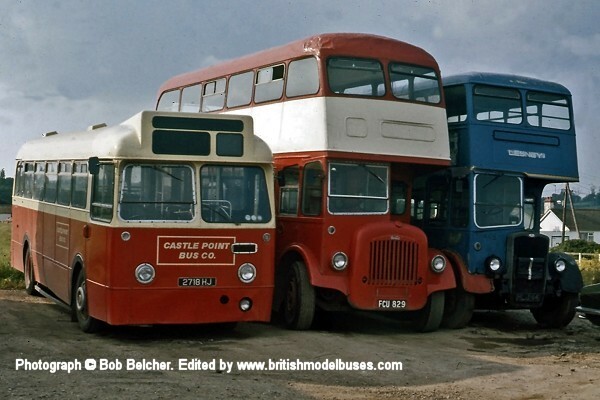 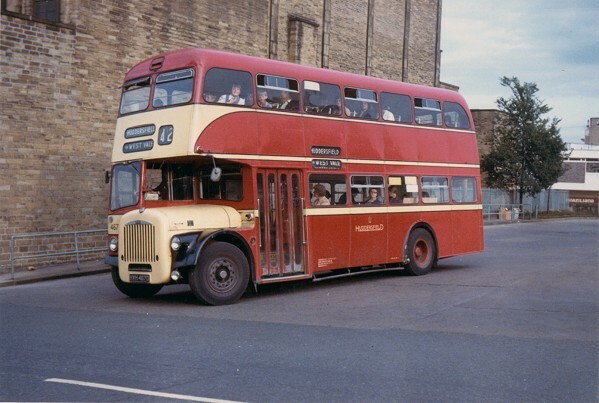 This photograph shows fleet number 309 (URG 309) and was taken in Aberdeen on 3rd July 1978. 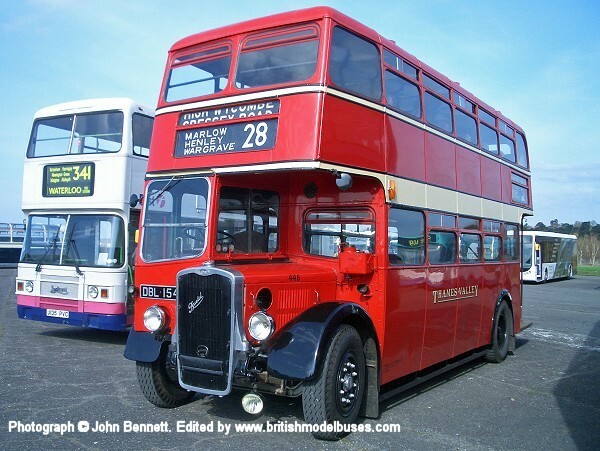 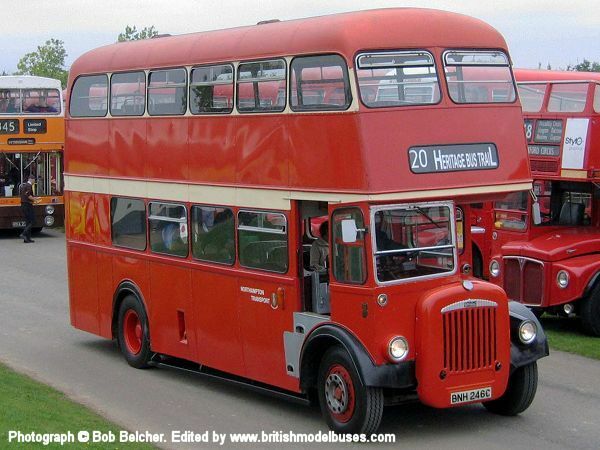 This is a sister vehicle to 316 (URG 316) as represented by Corgi OOC models OM41412A and OM41412B. 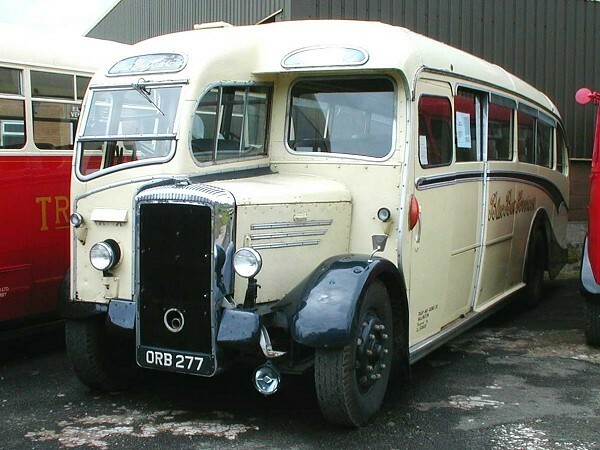 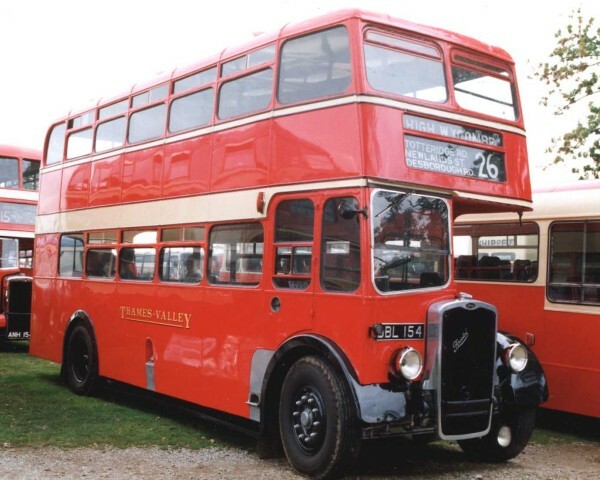 I am not familiar with these vehicles but have been advised that there are substantial differences between the Alexander and Roe bodied vehicles. 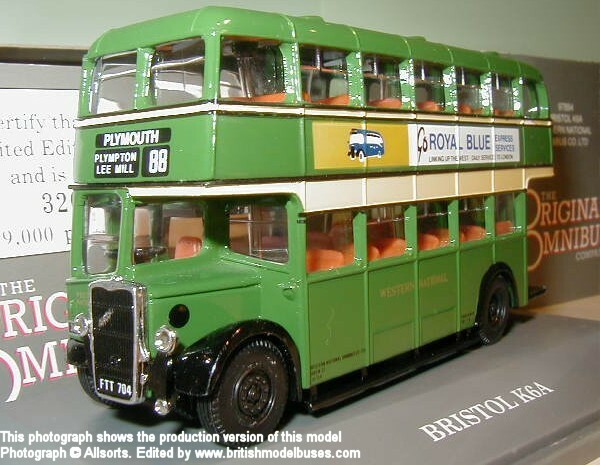 Corgi have chosen to use the ROE casting to represent the Alexander vehicle. 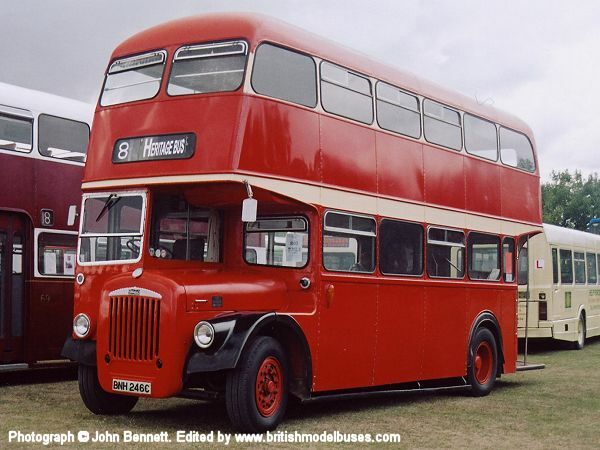 Amongst many differences the shape of the front dome is most noticeable between the two versions on the photographs shown on this entry. 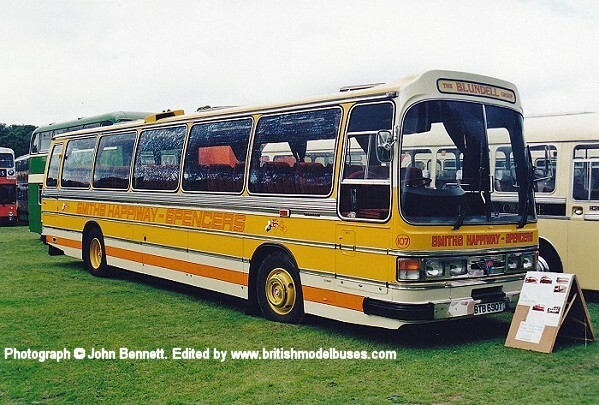 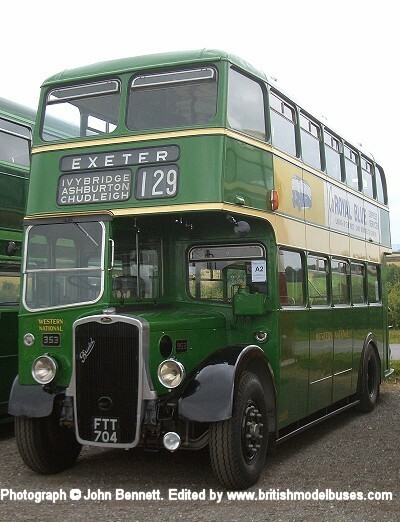 This photograph was taken at Showbus on 28 September 2003 and shows fleet number 246 (BNH 246C). 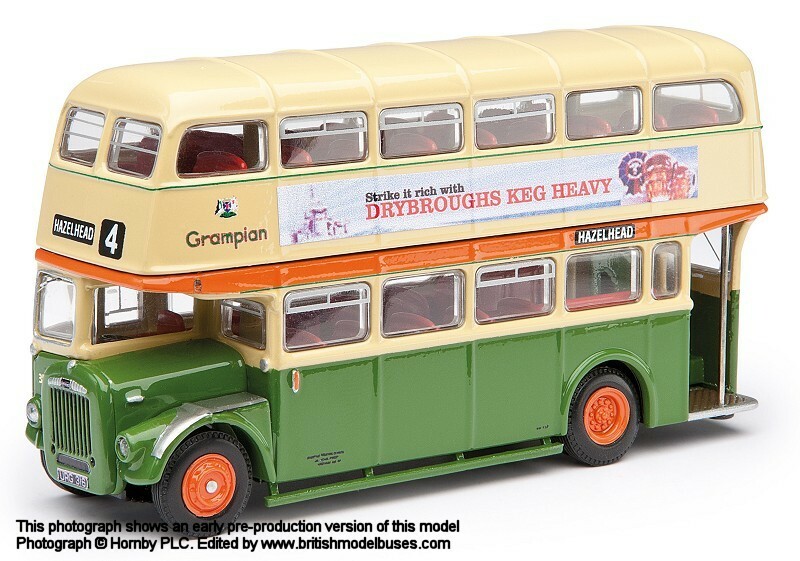 This is the actual vehicle as represented by Corgi OOC model OM41402. This photograph was taken taken at Showbus 2005 and shows the offside view of the above.